THE WRITING BUDDHA - Opinions | Books | Movies: Sabi Shaikh: "I don’t let the criticism get to my head" (Interview)!!! Sabi Shaikh: "I don’t let the criticism get to my head" (Interview)!!! 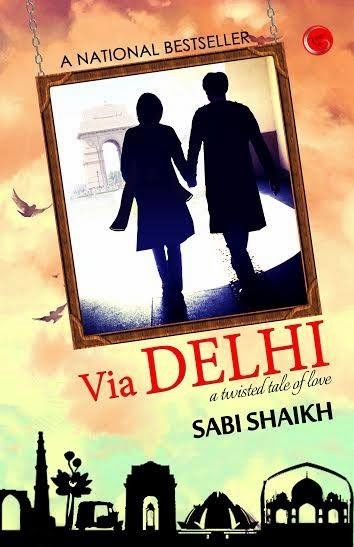 Sabi Shaikh is a brand new author who got his book released early this year named "Via Delhi". Since the book has released, he is enjoying every big and small shot of fame he is finding in his way. While taking this interview, the happiness was clearly visible in his sentences. 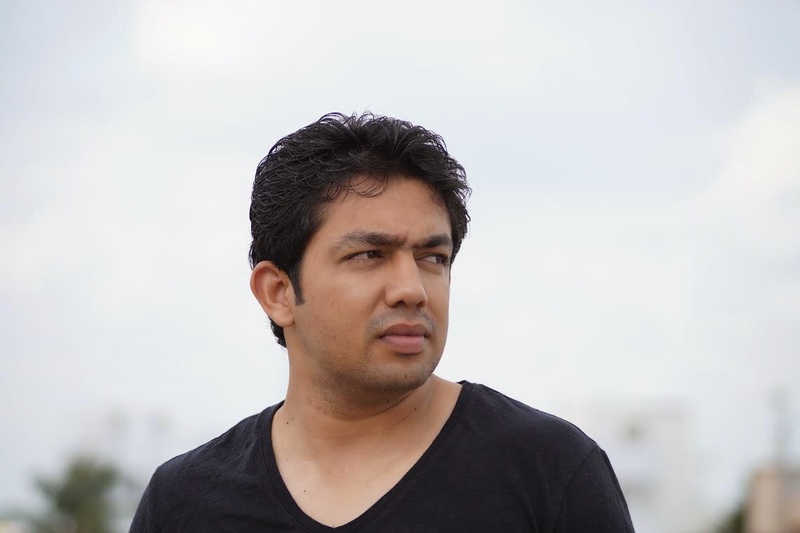 Do read to know what Sabi Shaikh feels about his life post-success. 1. Hello Sabi, when did it occur to you that you should write a book and get it published? I’ve always had the habit of scribbling random stuff on paper right from my childhood days but to be honest I never really aspired to be a published Author. I guess I was destined to be one and it just happened. I’ve grown up witnessing inter caste love stories going for a toss due to a very stupid reason called Religious differences. Damn, I was a victim too. We somehow end up being a silent victim and the hypocrite Indian society always ends up on the winning side. They have destroyed more love stories than anyone ever could. I wanted to bring about a difference so I decided to be the change. I started writing Via Delhi which is a one of a kind Inter caste love story. My motive behind this book was not to earn money or fame but to bring about a change in the mentality of those people who look down upon inter caste love stories. I quit my job to write this book and I have never regretted my decision. Once I started writing everything else started falling in place and one fine day I ended up getting published. 2. 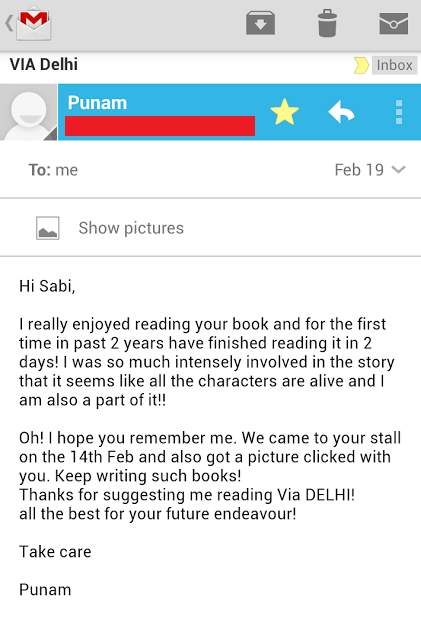 Tell us something about your first book “Via Delhi”. Saifuddin Khan was a Sunni Muslim boy who was pursuing his MBA and resided in the city of Nawabs, Hyderabad whereas Mridu Bhattacharya was a Bengali Brahmin girl who was preparing for her BBA entrance exams and hailed from the beautiful city of Dehradun. Destiny strikes one day and they meet in the early morning in a very unusual manner. They become each other’s moral support in no time. Their bonding grew stronger as the days passed by and beating all the odds the inevitable happened, they fell in Love. Their unique love story stared at the Indian Samaaj right in the face as even today people and parents claim to be very open minded but the thought of Inter religion marriage makes them go numb and the first thing that comes to their mind is “Char log kya kahenge?” These Char log have killed more dreams than anyone else ever could. Saif’s parents had a broader outlook towards life but sadly Mridu came from a very conservative and narrow minded family. They were a modern day couple who always thought that Love is greater than or equal to any religion and were ready to fight the battle for Love in their own respective ways. The city of Delhi played a very important role in their lives even though they belonged to different cities. 3. Are you planning to write its sequel or there’s already a fresh story in your mind? I have a fresh story in my mind and I have already started working on it. I don’t think there will be any sequels to Via Delhi. 4. What difficulty did you face while writing this book as it was your first attempt? Believe it or not, my journey of Via Delhi was pretty smooth. Everyone around me was very supportive and it took me just around three months to complete my manuscript. I guess someone up there is very happy with me and made my first attempt to write a book completely hassle free. 5. What are your views about the Indian publishing culture after facing it all and getting published? Well there are good people and bad people out there. Some are eagerly waiting to cheat you while the others are readily available to help you if your work is good. You don’t write a book everyday so you’ve got to be very careful in choosing a publisher. I got a very mixed kind of a view when it comes to the Indian Publishing culture. I am not very happy with the way things work here nor am I very upset. I’m pretty neutral. Maybe I’ll get wiser with more experience. And have a better understanding between good and bad. 6. How was your experience at World Book Fair recently? Any compliment by a reader there that will stay with you forever? The experience at the World book fair was phenomenal. I had never really expected that the event would be this huge. I had to pinch myself a few times to actually start believing that all this was indeed happening to me. You know, when your signature turns into an autograph it clearly means that you have achieved something in life. I enjoyed signing autographs at the book fair and interacting with readers. The Authors Corner event was out of the world. That was the day when I actually felt like a little celebrity. It was my moment and I lived every bit of it. My parents were really very proud of me and nothing in this world gives you more happiness and satisfaction than seeing your parents proud and happy. Yeah I did receive a fan mail which I would love to share with everyone. 7. What are your views about Gargi Publishers and Pulkit Gupta, its owner? Gargi Publishers is currently the fastest growing self publishing house in the country and that is only because of Pulkit’s hard work, commitment and dedication. He knows how to get the job done. I and Pulkit share a very good bond now and with time we have become very good friends too. I would take this opportunity to thank the whole team of Gargi Publishers for all the wonderful work that they have done for their Authors. I wish them all the very best for all their Future endeavours. I am very positive that things are only going to get better from here. 8. How easy or difficult is it facing such exposure since your first release? I never really thought that I would get this far. Everything still seems like a dream. I enjoyed every bit of the exposure, who wouldn’t? I have always been an extrovert so it was pretty easy for me to deal with all the exposure. In the beginning it was a little strange but then with time I got used to it. I still find it very funny when people address me as Sir. 9. How are you taking criticisms for your first book? My Readers and my Reviewers. My book has been reviewed by many professional reviewers. Many have appreciated it while a few have shunned it. They have their own parameters to rate a book and I respect that. But for me a common mans review is more important than a review given by a professional big shot reviewer because a common man will always rate your book keeping just one parameter in mind and that is Emotions. I read the reviews given by a common man with more interest as compared to a review given by a reviewer. I don’t let the criticism get to my head. I will continue writing for my readers and if the reviewers are interested to read my book, they are more than welcome. 10. Any words for your fans who liked Via Delhi? Thank you from the deepest corner of my heart. Thank you for making me what I am today. Thank you for appreciating my style of writing. Thank you for making Via Delhi such a huge success. Thank you for all your reviews. Thank you for all your love, support and prayers. Thank you for making Via Delhi go Viral.